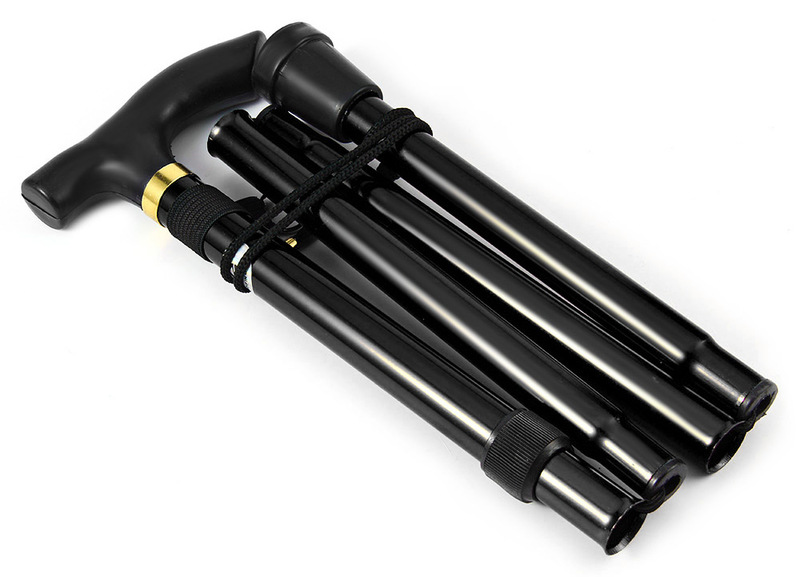 Light, compact and portable, The Hiking Ultralight 4-section Adjustable Cane is an essential tool for any hiker or traveler. The cans collapses into 4 parts for convenient storage. 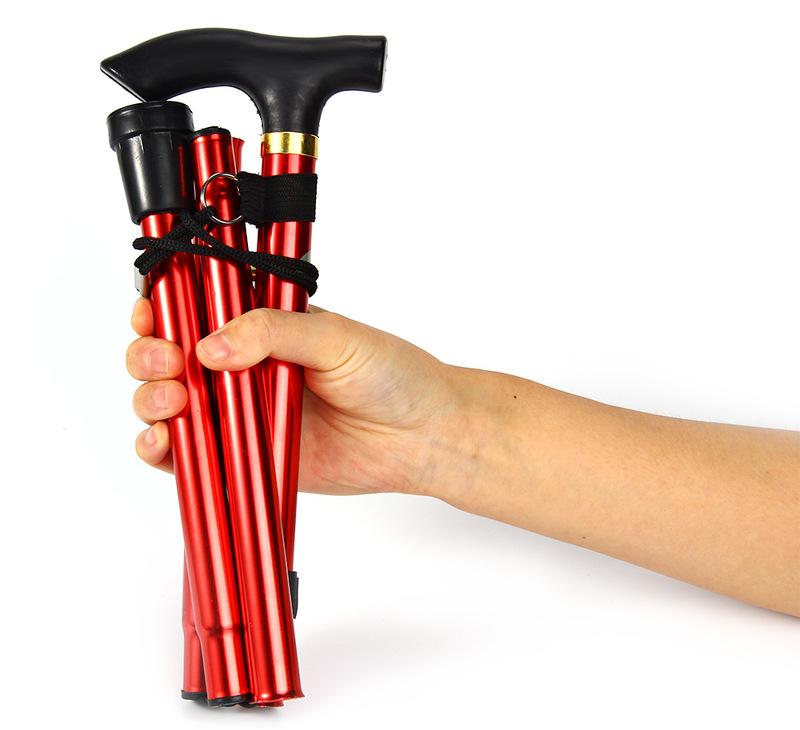 You can easily store the cane in a luggage, a bag or even in your car's glove compartment! 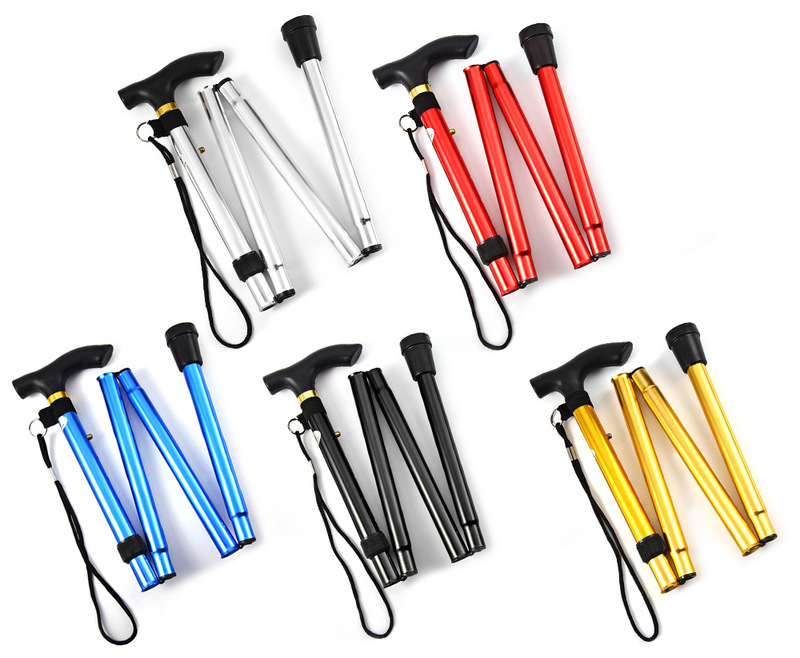 This makes it possible for you to easily hike anywhere and anytime! - Four folding sections snap out automatically. 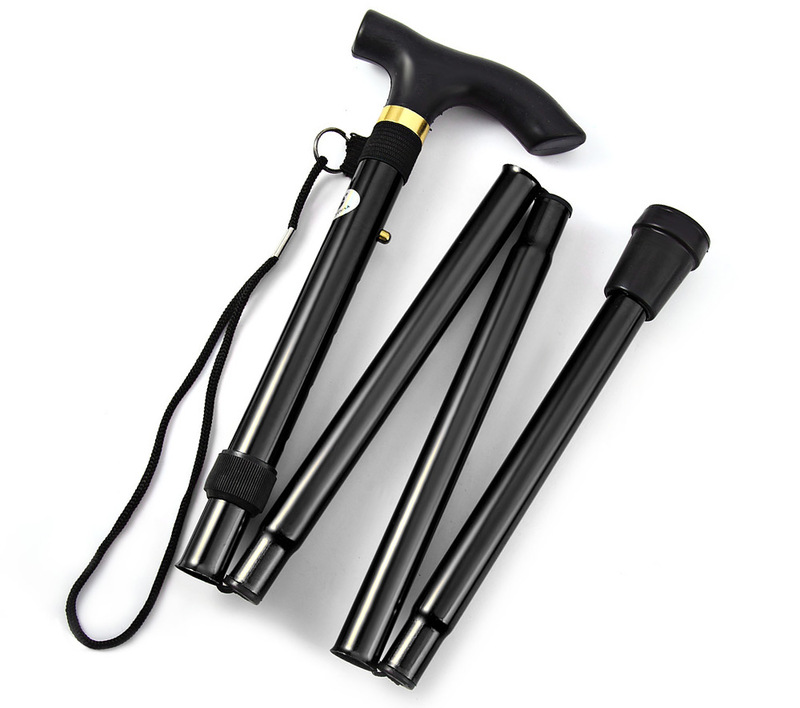 - Non-slip rubber base has increased wear-resistance, extending the life of road cane. - Elegant and ergonomic handle design with removable hand strap and brass collar. - Come with hand strap to hang cane when folded. - Fit for put inside of luggage, backpacks, etc.